Keegan Phillip Allen (born July 22, 1989) is an American actor, photographer and musician. 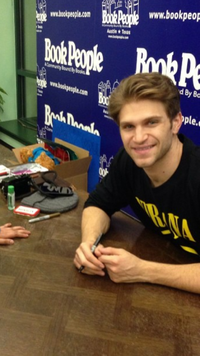 Allen is known for his role as Toby Cavanaugh on the ABC Family series Pretty Little Liars. This webpage uses material from the Wikipedia article "Keegan_Allen" and is licensed under the GNU Free Documentation License. Reality TV World is not responsible for any errors or omissions the Wikipedia article may contain.